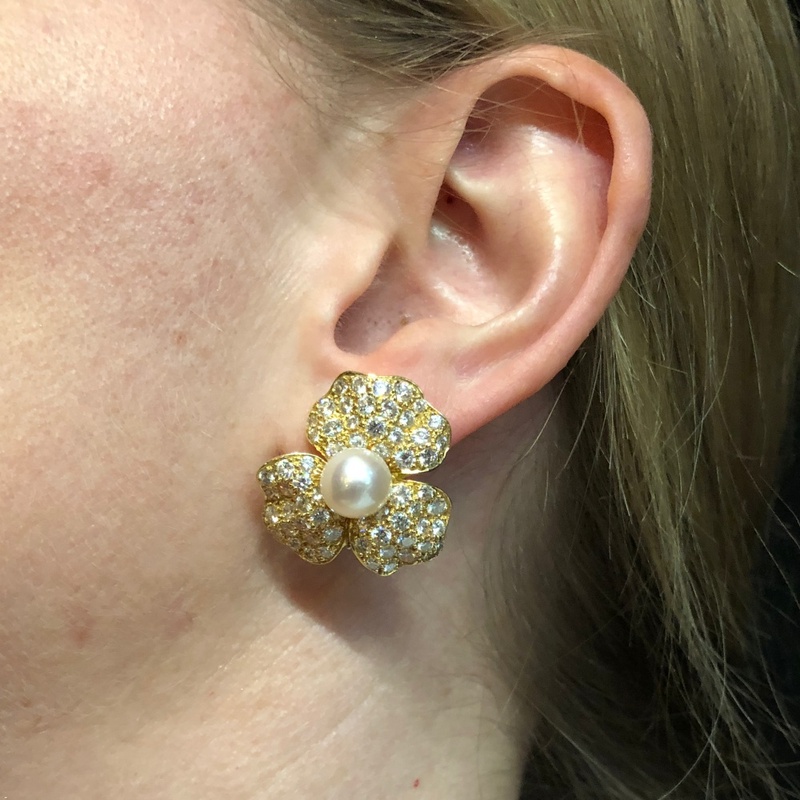 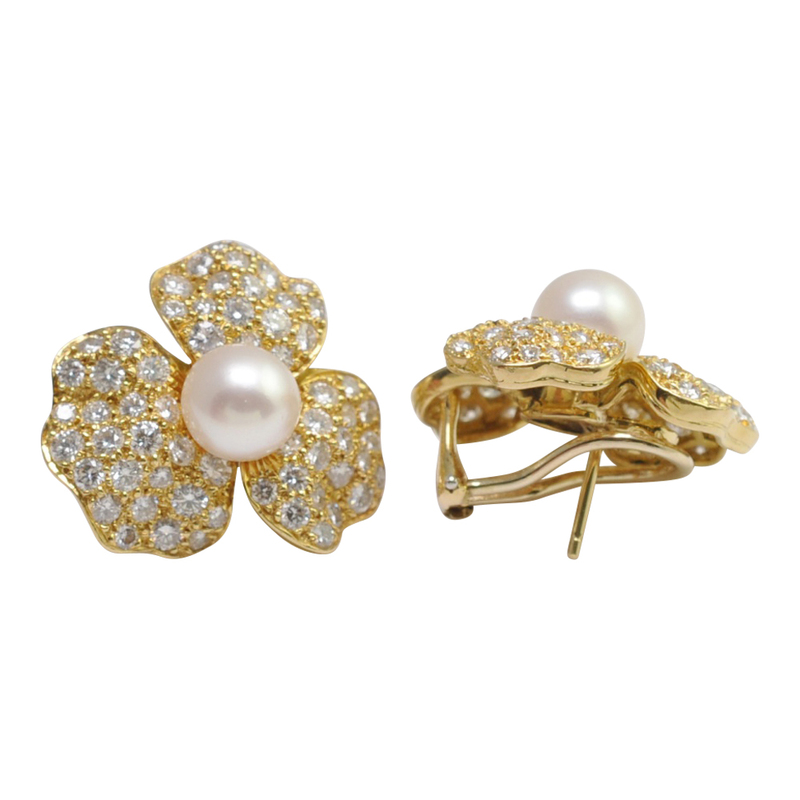 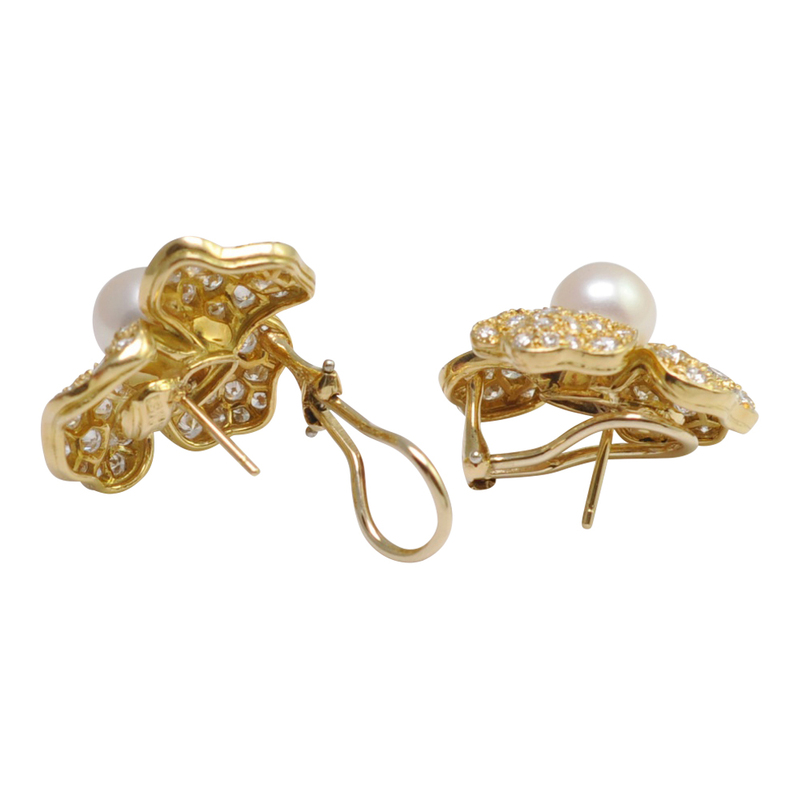 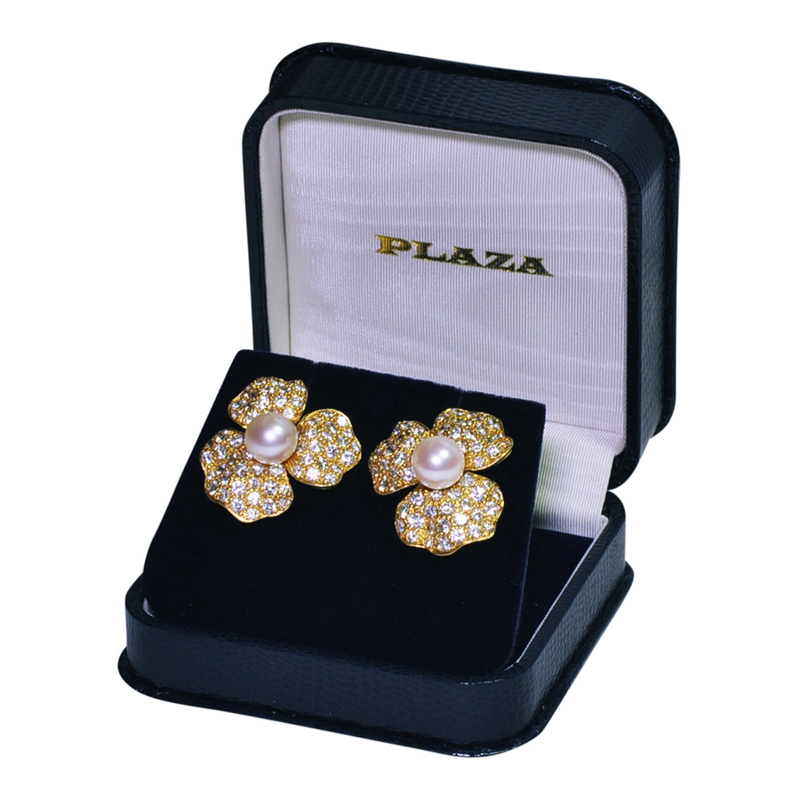 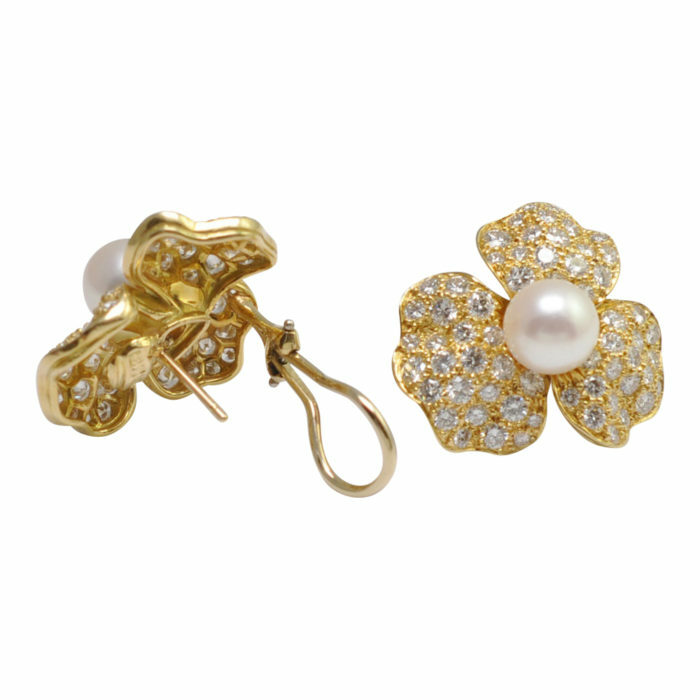 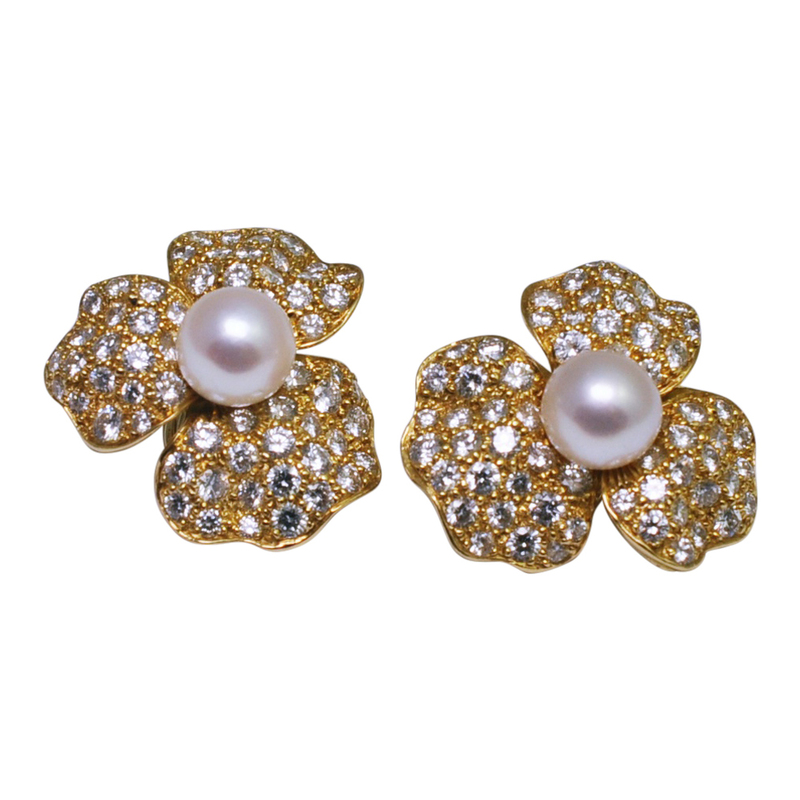 Bold and dramatic diamond and pearl 18ct gold flower earrings; these gorgeous earrings are in the form of stylised flowers, each with 3 undulating petals set with brilliant cut diamonds and a central cultured pearl. 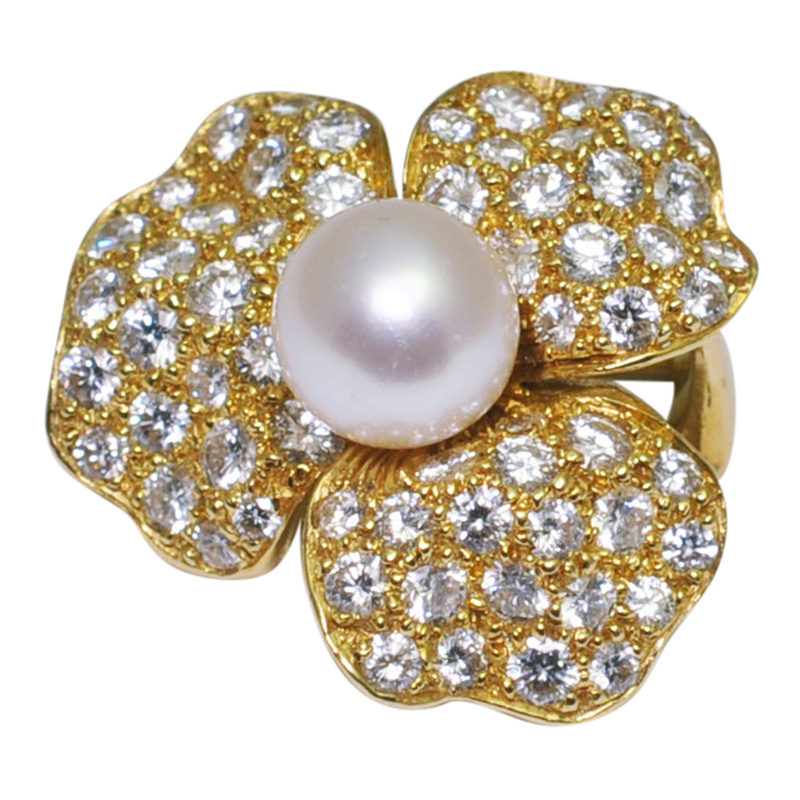 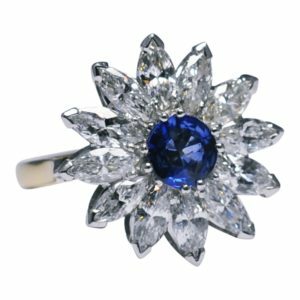 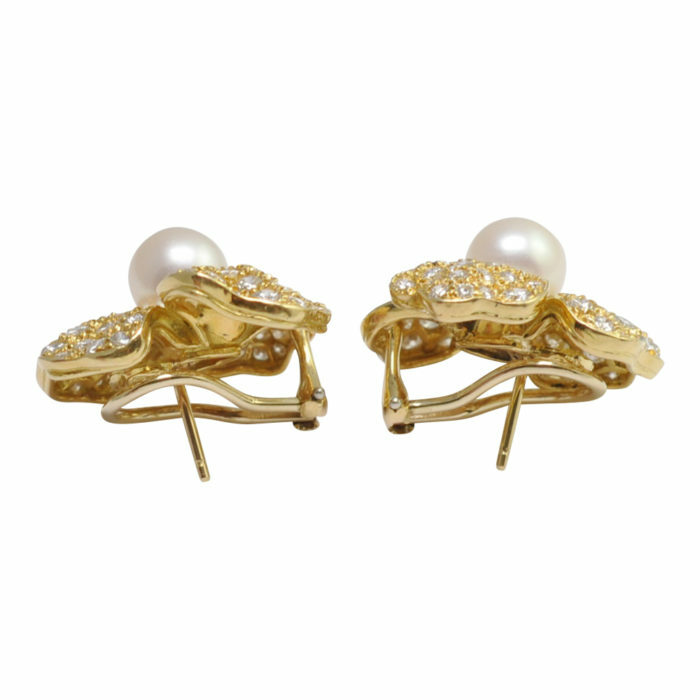 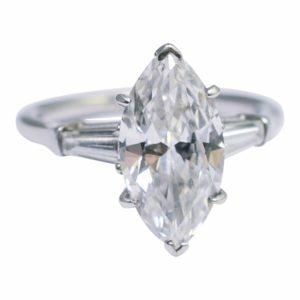 The diamonds weigh a total of 5.5ct, the creamy lustrous pearls measure 8.5mm. 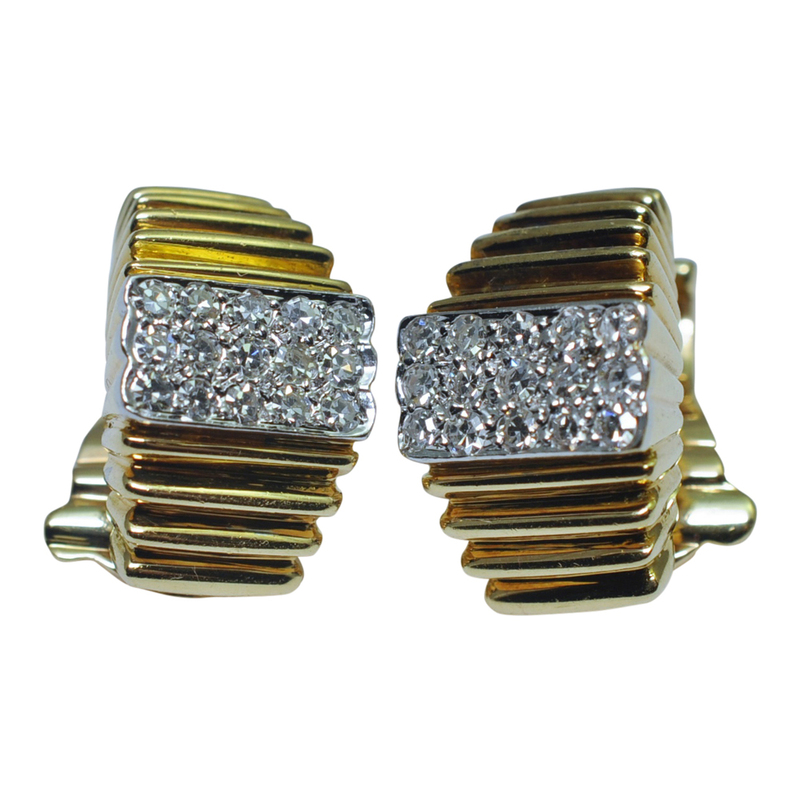 They are fitted with a clip and post for added security which is in good working order. 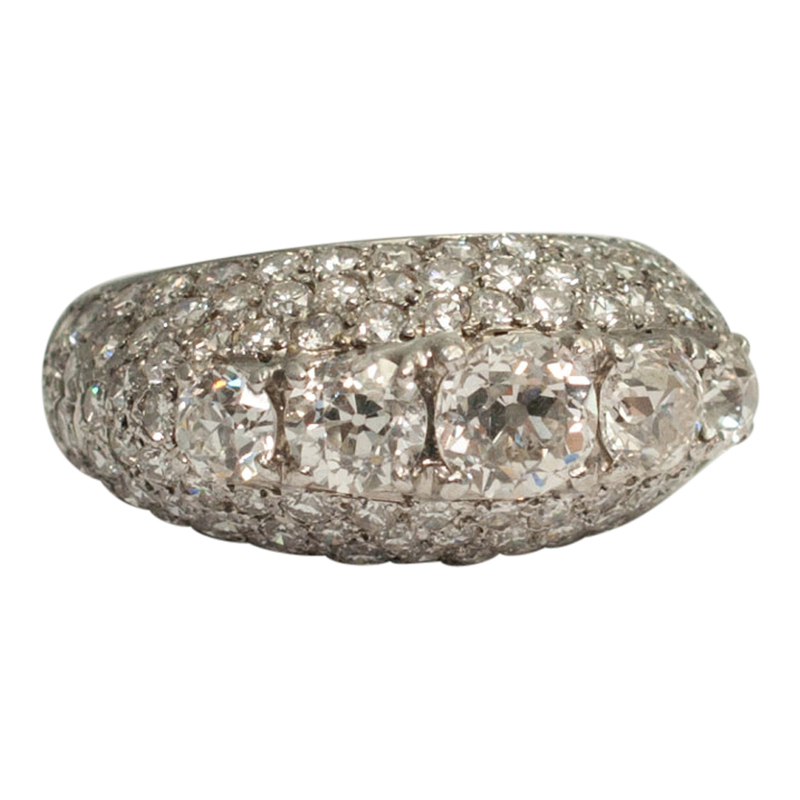 Weight 18.7gms; measurements 2.5cm x 2.5cm. Stamped 18k with an indistinct maker’s mark. 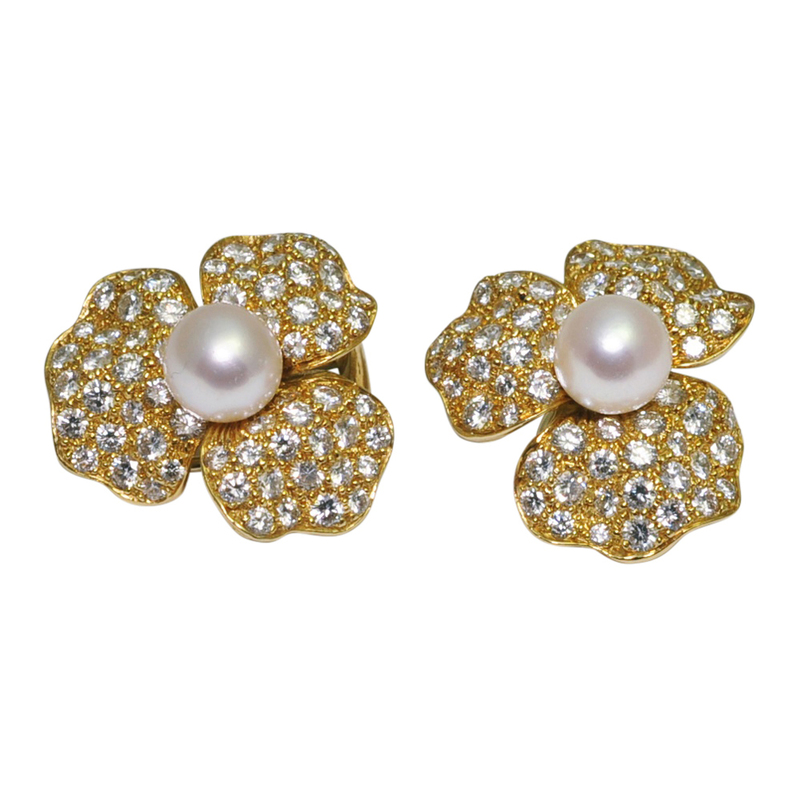 These earrings are in excellent condition and date from the 1960s.